Andy Lyons/GettyKyrie Irving is one of several star players that could hit free agency in 2019. The great salary cap spike and ensuing free agency frenzy of 2016 produced some unintended consequences, namely less fluid markets. Teams that spent wildly and freely in 2016 found themselves capped out in 2017 and 2018, while other teams with cap space chose to sit out free agency to preserve their future flexibility. As a result, more players signed one- or two-year deals. Now, with the 2018 offseason nearly wrapped up, the NBA world is already preparing for next summer when there could be another free agency boom. “There’s going to be an enormous free agency offseason this coming year,” one league source told Business Insider. The meaning of “enormous” may depend on who you ask. On the one hand, the sheer size and depth of the 2019 class could make it an exceptional offseason. The salary cap is projected to hit $US109 million, an $US8 million jump from this current season, according to ESPN. Nearly half of the NBA’s players are slated to hit free agency while about a third of the league’s teams are projected to have cap space. On top of it all, the 2019 free agent class is star-studded. Some players won’t hit the market because of extensions or contract options, but players who could hit free agency include Kevin Durant, Kyrie Irving, Kawhi Leonard, Jimmy Butler, Klay Thompson, Kemba Walker, Al Horford, DeAndre Jordan, and DeMarcus Cousins. Kristaps Porzingis and Karl-Anthony Towns could both be restricted free agents. And there are plenty more second- and third-tier players who could be major difference-makers for teams, even if they aren’t household names. There are already rumours about potential super-teams. 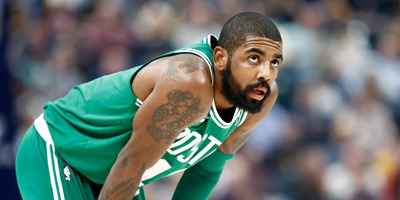 Two league sources told Business Insider that there is a buzz about Kyrie Irving and Jimmy Butler teaming up in 2019-20, with one source noting “substantial” talk about it. Both sources also noted that the New York franchises, the Knicks and Brooklyn Nets, could be well-positioned to land the potential star pairing. Both are slated to have cap space, though the Knicks’ path to two max-salary slots would require some wheeling and dealing. What may be equally as interesting to monitor is how the market shakes out for the players that fall somewhere between All-Stars and role players. The surplus of players hitting the market could mean some players will not get the deals they’re looking for, as ESPN’s Zach Lowe noted. One source called the summers of 2017 and 2018 “anomalies” in the way those second- or third-tier players struggled to find long-term contracts. There were more players signing deals like Avery Bradley did with the Los Angeles Clippers this year (two years, $US24 million) than Will Barton did with the Denver Nuggets (four years, $US54 million). The same source believes 2019 could begin a “return to normalcy” for those players. However, several sources also cautioned against the idea of a spending spree akin to 2016. Teams have learned their lessons from some of the massive four-year deals handed out that summer that looked almost immediately regrettable, sources said. It seems unlikely, for example, that we’ll see players like Timofey Mozgov get four-year, $US64 million deals. Where things could turn is if teams get involved in bidding wars. There are only so many true star players available, and when they’re off the market, teams with un-utilised cap space might jump at the chance to land the next-best players. Teams don’t plan to overpay players – it usually happens later on. The race could start midseason. One front office source said that if teams think they need to have cap space for two max salaries – to land a pairing like Irving and Butler, for example – then they will try to find a path to cap space for two max salaries. That could heat up the trade deadline when some teams try to open cap space, while others take on contracts in return for assets like draft picks. Furthermore, if teams think they’re out of the race on the most prominent free agents that summer, they may take swings on other stars via trade. All of the ingredients are there for a wild offseason following two relatively tame summers. Whether teams dive head-first into free agency pool will be worth watching. If not, it could just be the start of the aforementioned “return to normalcy,” with another cap jump projected in 2020 and the potential for a future salary cap spike on the horizon.